Another VJ essential, the endless triangle tunnel! With bright contracting colors this is a VJ visual that you can use in many different sets. 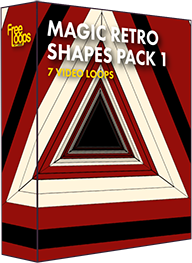 No more boring static backgrounds if you choose this video loop, expand your options by adding this video to your set.